LeadToAdd click HERE to learn more is the latest NHS England campaign # is #LeadToAdd. As a Caremaker I will be linking this on Twitter with my work on #skinToskin , #futuremidwives and #couragebutter to inspire others to see themselves as leaders regardless of their role . Patients, women, families and non-clinical staff are also leaders . What does to lead mean ? Leading is about being the first to begin something but not necessarily holding onto that but looking at how your actions impact on the way others fulfil their role. Leading is being a positive role model, leading is about looking inwards at your own behaviour and also looking outwards at the behaviour of others . In the NHS all staff need encouragement to recognise themselves as leaders and also to see that some behaviours do not embody leadership. We are all learning each day, so don’t stay still – question yourself and the way you speak to others . Ask a colleague to listen to you talking to patients and staff and to give you feedback -what could you change ? Integrate telephone conversations into drills training- talk to your practice development team – think outside the box . Someone who leads others into poor practice is a poor leader but a leader non the less so be aware of your own commitment to pass the positive leadership baton . We are human and it’s ok to make mistakes , however we must learn, evolve and change . The other day I had a car journey with Joan Pons Laplana (@ThebestJoan on twitter) and once again he made me think hard about how the 6Cs are integrated into practice . Joan said to me that as a health care professional all tasks and procedures must embody the 6Cs – even answering a telephone call. Busy labour ward – phone ringing , midwife answered the phone – we will call the person making the call Tony and his partner who is having a baby is called Dolores. The midwives name will be Darcy . Tony (nervous voice) ” oh hi – err my partner thinks she’s in labour , it’s our first baby and we are a bit nervous . Could I ask you some questions , she’s here but having a contraction right now and then she feels sick for a few minutes after its gone. Busy labour ward – phone ringing , midwife answered the phone – we will call the person making the call Tony and his partner who is having a baby is called Dolores. The midwives name will be Darcy . …. Tony (nervous voice) ” oh hi Darcy – I’m Tony – err my partner Dolores thinks she’s in labour , it’s our first baby and we are a bit nervous . Could I ask you some questions , she’s here but having a contraction right now and then she feels sick for a few minutes after its gone. I’m not going to continue this but could the midwife change her approach In either scenario – which is the best one in your opinion ? ? Is either of these scenarios you ? A colleague? This approach has been learnt from a peer. So you see two examples each one leaving the person contacting the service with different emotions . Bearing this in mind I’d like to ask the following questions for you to consider and share with with your colleagues, family , friends , midwives and obstetricians . 1. 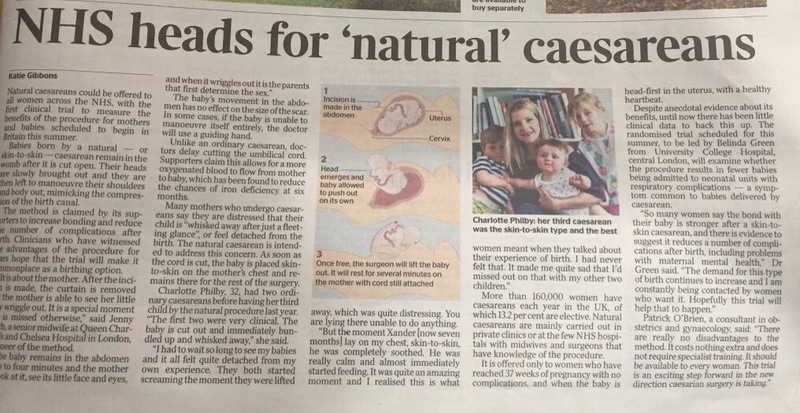 How many women who have an emergency caeserean and/or instrumental birth (forceps or ventouse) are given information in the antenatal period about the far reaching health and psychological benefits of skin to skin contact in this setting to both mother and baby ? 2. 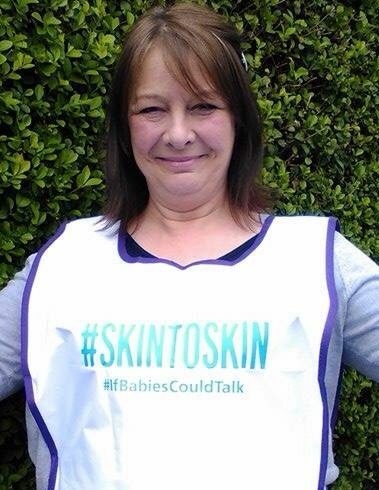 Compare the above with how many women are given information about skin to skin contact around normal birth ? 3. Compare both to how many woman are informed that skin to skin is possible during manual removal of placenta and repair of any perineal trauma in the theatre setting ? That their baby could ‘self latch’ at the breast without any handling by staff and also correct its own acidosis and stabilise its own breathing because of skin to skin contact ? The midwives and staff on social media who talk about caesarean are not promoters of it , they are giving women information about choice – so that if the operation (which is major surgery) does take place then these women are able to not only enjoy their birth experience but give their relationship with their baby the best possible start . To me this is enough . I am also promoting #MatExp as a platform which enables and encourages discussion between women, families and health care professionals .